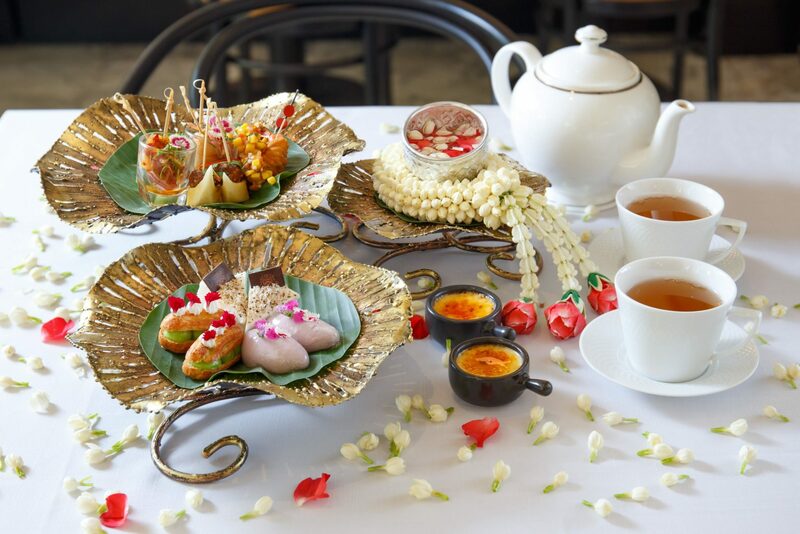 What could be more fitting than a set of traditional Thai treats to celebrate the Thai New Year? Cool off this Songkran with Café Claire’s Thai New Year Afternoon Tea Set where we have prepared an array of tantalising sweet and savoury items to be enjoyed with a selection of premium TWG teas. Savoury bites include fresh pineapple morsel topped with minced chicken & peanuts, north-eastern spiced minced pork salad on cucumber, seared sea scallop salad with lemongrass & mint, and crispy fried marinated wrapped shrimp with mango salsa. Sweet bites consist of Thai pandan custard éclairs, glazed butterfly pea mousse, coconut cakes and crème brûlée to add a Café Claire Parisian flair. This promotion is available daily throughout the whole month of April 2018 from 14:30 to 17:00. The Thai New Year Afternoon Tea set with a choice of TWG teas is priced at 1,500 THB++ for two persons. PALLADIUM x BODYSLAM รองเท้าแบรนด์ดังสุดฮิต จากร้าน YEAH!